Is There a Risk in Using Ultrasound Scans for My Baby? - Totaly Pregnant! Home /Is There a Risk in Using Ultrasound Scans for My Baby? Is There a Risk in Using Ultrasound Scans for My Baby? It’s a good question to ask: “Is There a Risk in Using Ultrasound Scans for My Baby? No one knows the long-term effects of ultrasound use. It simply has not been around for long enough. The majority practitioners believe that the technology is perfectly safe since studies of babies and their mothers have not shown in studies any negative effects. Other practitioners are not so convinced of ultrasound safety and feel that judicious use is advised. It should be remembered that x-rays were in use for 50 years before the public became fully aware of their detrimental effects. DES and thalidomide also were deemed safe and were later found to be the cause of cancer, sterility and anomalies. Ultrasound is far less a concern though by its very nature, and none of the sorts of problems which occur with x-rays would be expected. There is no way that science can be certain though, and the history of scientific advancement includes many where unintended and un-imagined consequences have occurred. Possibly the greatest risk of overuse of ultrasound technology is that if an ultrasound raises a question of fetal well-being, invasive and high risk procedures and technologies may be instituted which do have clear risks to the mother or her baby. Non-diagnostic ultrasound has demonstrated biological effects such as cell heating or thermal effects and cavitational activities using plants and animals. These experiments have had various outcomes and are difficult to equate with human outcomes. Also, diagnostic ultrasound uses far lower intensities. The current epidemiological data finds no adverse outcomes from ultrasound use. 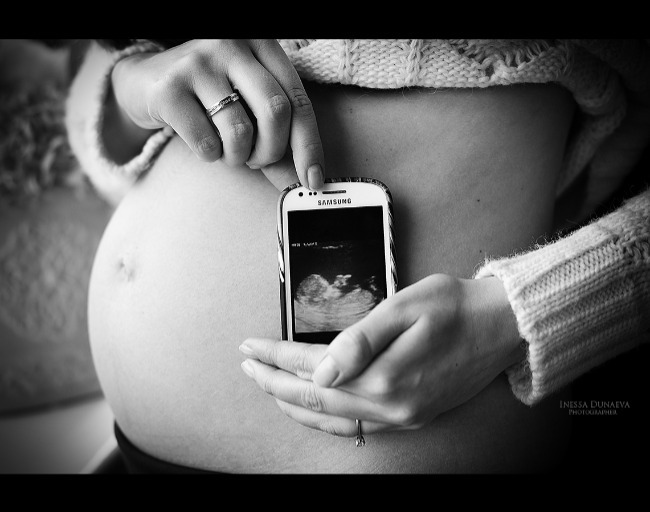 Many researchers believe that the benefits of diagnostic ultrasound outweigh the risks. Human studies have not documented negative outcomes except for one study which showed increased fetal activity for the majority of exposed babies when scanned with the Doppler. Some consumer groups have questioned the need for ultrasound equipment during pregnancy. They claim that in order to pay for the equipment, physicians will order unnecessary ultrasounds. They claim that in order to pay for the equipment, in nations where the patient pays for their treatment physicians will order unnecessary ultrasounds. Not only does this increase the exposure of unnecessary technology. It also tends to raise the total cost of care and for the fetus it may in a few cases lead to additional unnecessary and costly interventions.